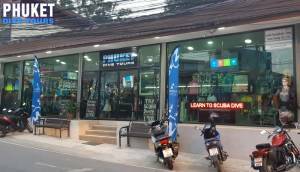 Dive Shop & Scuba Diving Resort. 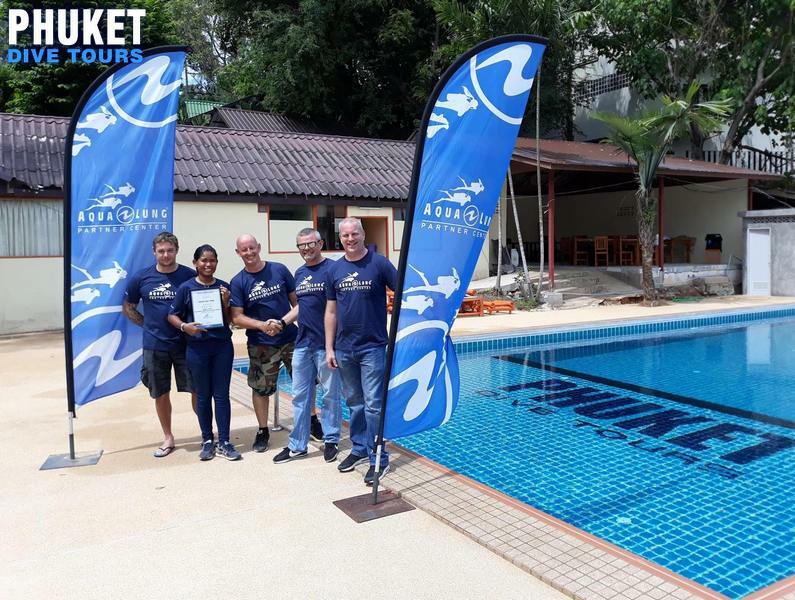 If your looking to find a great dive shop then check out our New Phuket Dive Tours store at Kata beach, as we recently expanded the dive store constructed a large dive pool and modernised premises to create the largest scuba diving training and retail to create an all in one diving resort. 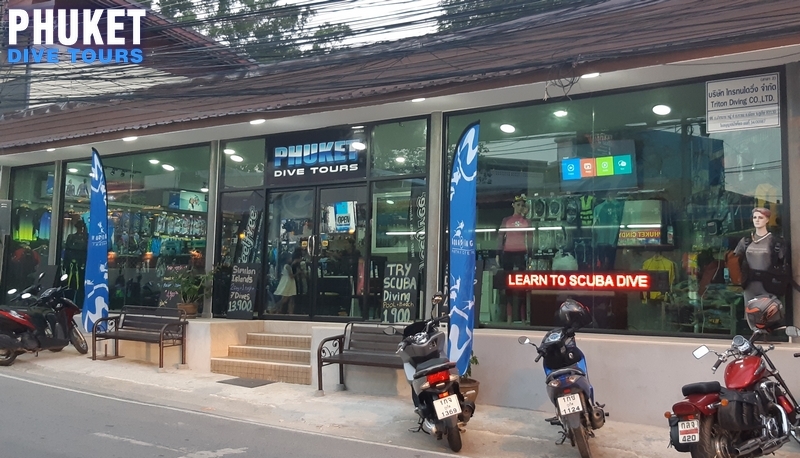 The new dive shop provides daily diving course, diving day trips, and liveaboards, as well as all the top brands of equipment with a huge selection of masks fins regulators and diving accessories on display. Best part is you walk away with your dive card and don’t wait months. 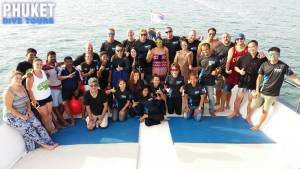 Aqualung scuba diving partner centre Phuket. 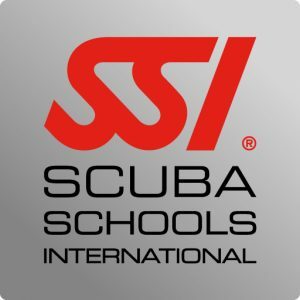 The dive store is registered as an Aqualung partner center and stock Aqualung products, however we also supply similar items manufactured by Scubapro, Suunto, Mares, Apex scuba diving equipment & accessories. 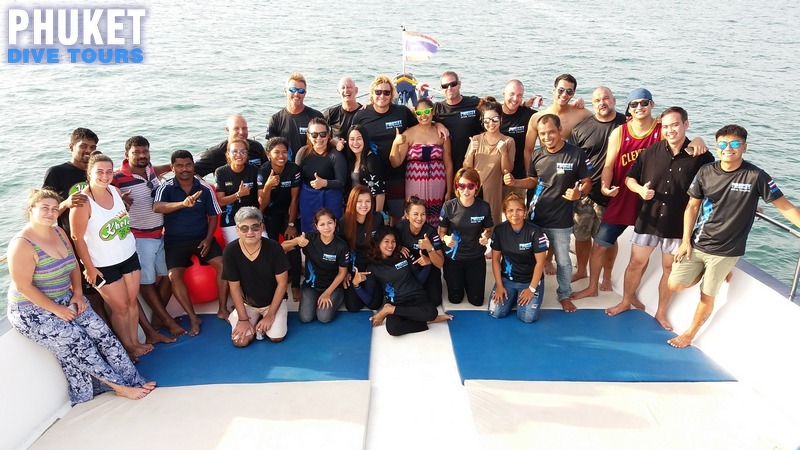 Dive master courses in Phuket. 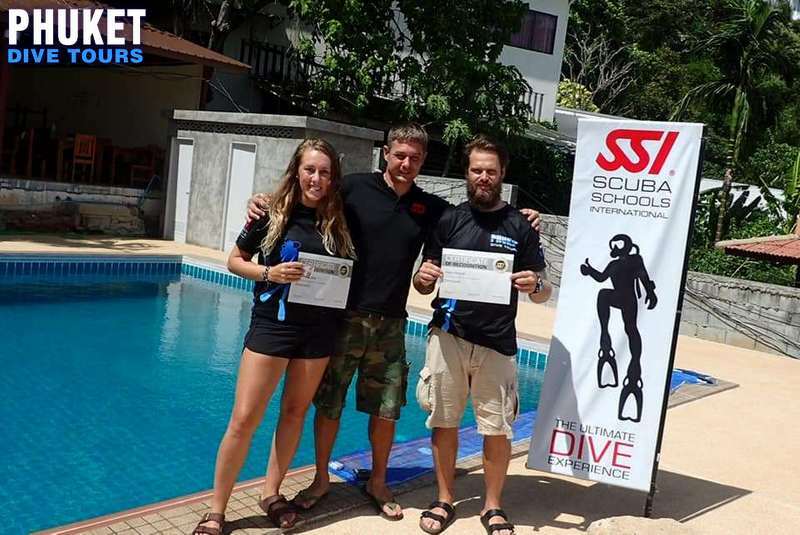 As an Instructor Training centre we have our head Instructor Trainer “Phil Inzaghi” who supervises the professional level diving courses that range from dive guide, dive master & Scuba instructor, and the popular Scuba Instructor cross over courses. Our success is based on a our dedicated team of staff and experienced instructors who all have a vast experience of making diving fun. Our private swimming pool located behind our dive shop provides a perfect environment for scuba-diving education one of the largest private pools on the island, we can ensure that the pool is never overcrowded and it allows sufficient room for each student to practice buoyancy skills and swim around. The dive shop Bauer Poseidon 250 has a built in automatic electronic condensate drain controlled system with additional monitoring electronics that switches the compressor off automatically when the final pressure is reached in the system, electronics constantly measures operating hours and oil pressure, and displays the current operating status. 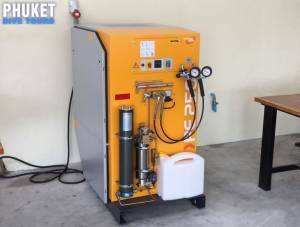 This ensures that the air we deliver is free from contaminants. Kata Beach is the perfect location for learning to scuba dive in Phuket, with local diving courses starting each day, the long sandy beach itself is a great location.